When I spoke about venetian glass jewelry a while ago, I went into detail to describe some of the ancient techniques that the artists of Murano island use to create their products (to the extent I could learn about them, as they still well kept secrets), and I even named a few firms that specialize in creating these beautiful jewels. Well, today I’m going to talk about Due Zeta, a firm from the Murano Island in Venice which, unlike the ones I talked about until now, specializes in manufacturing decorative objects, ornaments that you can use around the house. The firm was founded in 1993 by the couple Andrea and Michele Zecchin with the goal of bringing people beautiful glass decorations. Settled in an island with such an wealthy history, its wasn’t that farfetched to make that dream come true. When the opened their doors, they decided not to use the famous millefiori technique which everybody associates Venetian glass with. They decided to employ a technique called ‘a lume’ developed on the island back in the 13th century, which is, as far as I can tell, hand-painted glass. So, what are some of the Due Zeta glass ornaments? First, there are the hand decorated centerpieces and desert bowls that will make the dinner table look so much more alluring. They feature these colorful painted leaves which bring a sense of spring in your home. Then there is this lovely hand decorated picture frame called Carnevale which has the same colored leaves as above. They put those precious pictures in the right light. Lastly, Due Zeta has a couple of colorful hand painted shot glasses called Sospiri which will add a unique sparkle to your next party. Although so far it’s been a local firm, selling its products through the four shops it owns in Venice, Due Zeta is also available in the United States now through Forzieri. 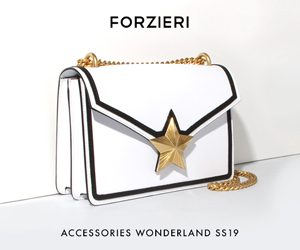 To find out more about its designs, take a look at the Due Zeta catalog on Forzieri.com. You’ll certainly find something that will fit perfectly in your home. Next post: Take Advantage of Forzieri’s Mid-Season Shoe Sale!